I made this a few years back for Christmas and it was a big hit. It’s such an easy thing to make and is great for your friends who love cocktails. When the tequila is fully infused, you can serve it on the rocks with a slice of pineapple or try adding it to your favorite margarita recipe. You can eat the pineapple, but I will warn you it is very strong! Place brown sugar into a large sterilized jar and add tequila. Stir until sugar is dissolved. Add in pineapple chunks and vanilla bean. Sit in a cool dark place for at least one week. Agitate jar daily. The longer you let the mixture sit, the stronger the flavor will be. When you’re ready to bottle, strain liquid over a sieve lined with cheesecloth and transfer liquid to bottles. The first time I made this, I used long neck bottles and added a slice of fresh pineapple in each. 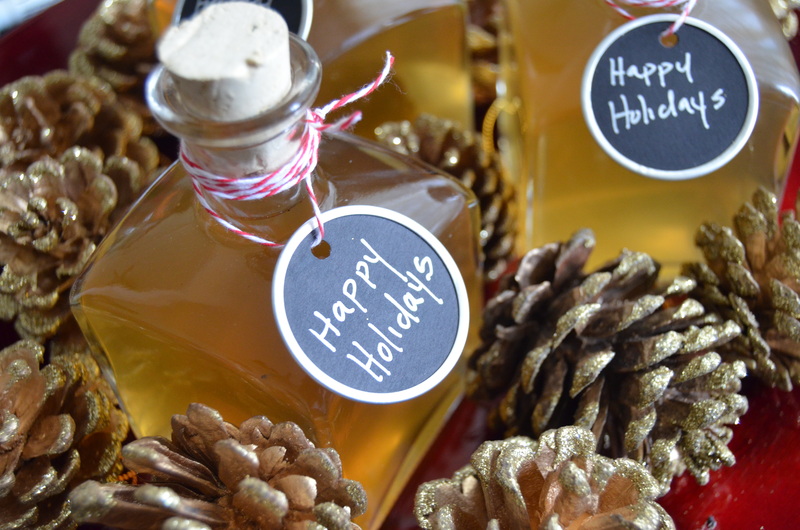 If you are planning on making this for gifts, definitely double or triple the recipe.